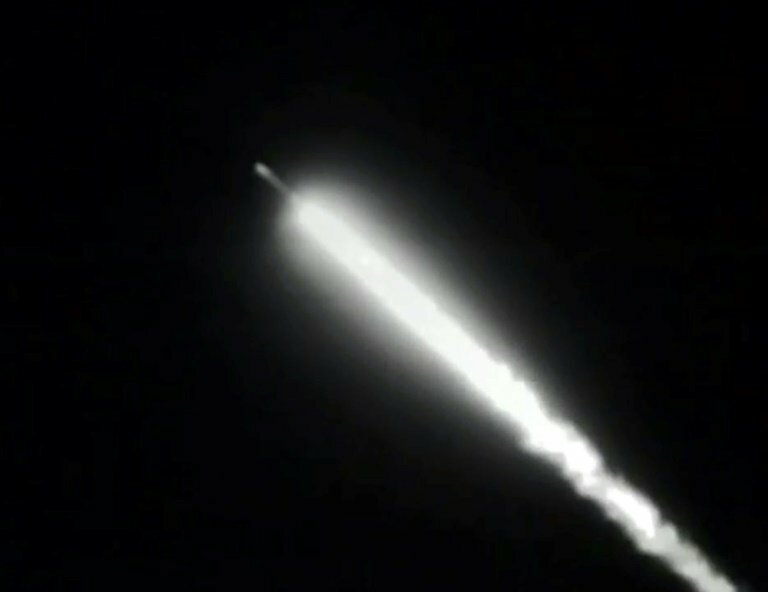 "Three, two one, liftoff!" said a launch commentator on NASA television. 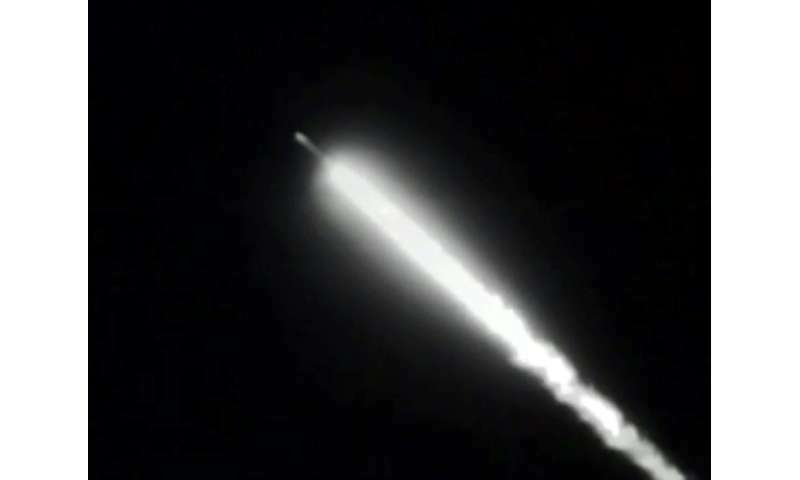 Cloaked in pre-dawn darkness, the $1 billion, half-ton ICESat-2 launched aboard a Delta II rocket from Vandenberg Air Force Base in California at 6:02 am (1302 GMT). 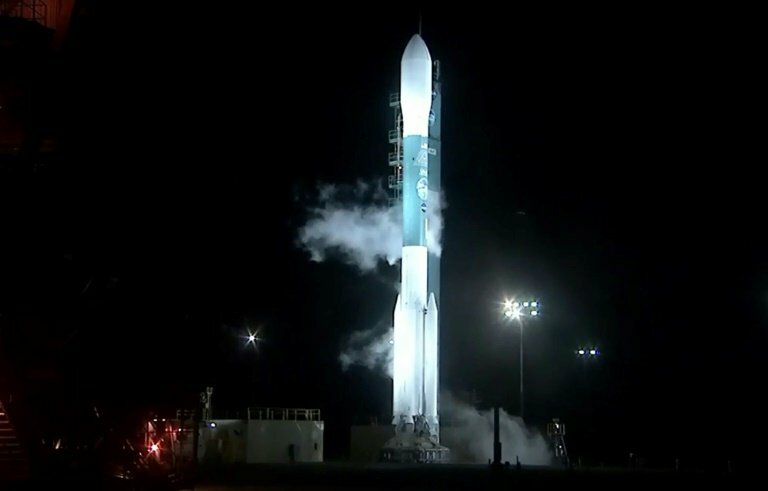 "Lifting ICESat-2 on a quest to explore the polar ice sheets of our constantly changing home planet." In the intervening nine years, an aircraft mission called Operation IceBridge has flown over the Arctic and Antarctic, taking height measurements of the changing ice. But a view from space—especially with the latest technology—should be far more precise. 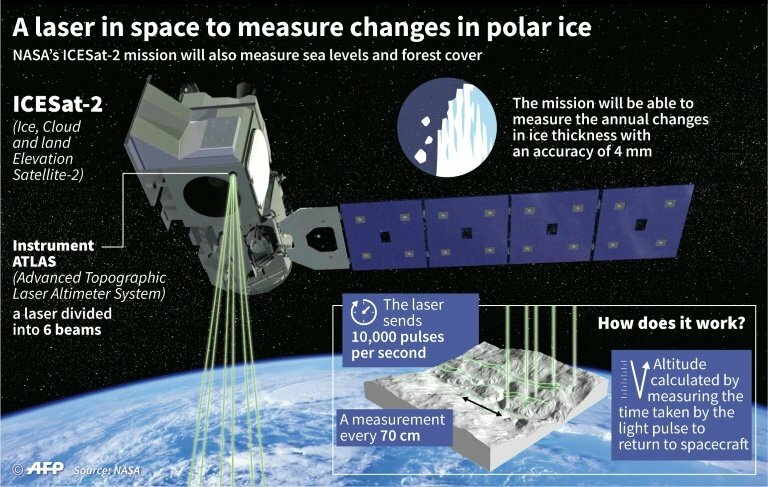 Graphic on NASA's ICESat-2 mission. "Loss of things like the sea ice that covers the Arctic ocean affects our weather, and loss of ice that covers Greenland and Antarctica raises sea level," said Tom Wagner, cryosphere program scientist at NASA. He added that the satellite should reveal new insights into the ice in the deep interior of Antarctica, which is an area of mystery to scientists. "The mission will gather enough data to estimate the annual elevation change in the Greenland and Antarctic ice sheets even if it's as slight as four millimeters – the width of a No. 2 pencil," NASA said in a statement. 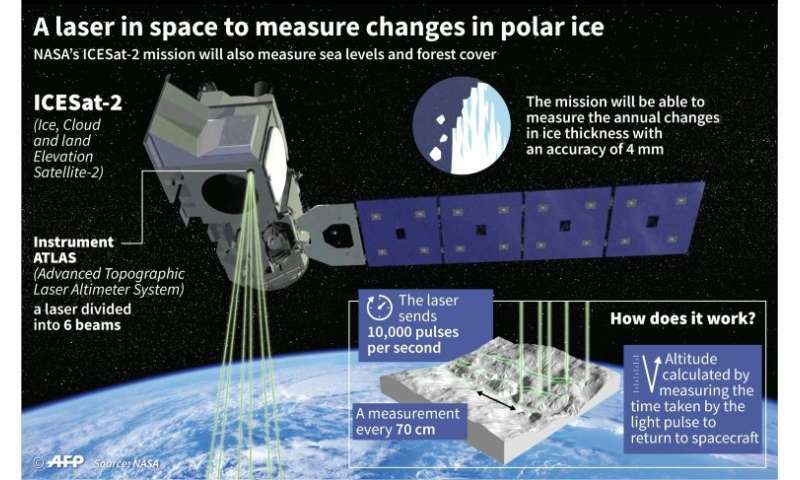 "Our data will allow ice sheet modelers to make better predictions of the future," said Tom Neumann, deputy project scientist for ICESat-2.